To find out more send us a message and we will be in touch. We are experienced Coda Consultants with in-depth knowledge of Coda Financials and Procurement systems, CodaXL, Business Objects and Cognos reporting tools. Our goal is to help you make the most from your finance systems. Find out more about our coda consultancy services and about bamboo systems. 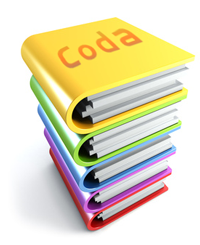 If you already use Coda, you may find our Coda reporting basis calculator useful.